Sunday marked the final day of a centuries-old tax of paying to cross between south Wales and south-west England before the toll is removed. 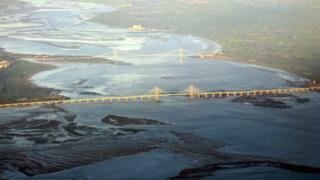 Charges on the M4 and M48 Severn bridges will be axed on Monday - saving commuters as much as £1,400 a year. People have had to pay to cross the Severn Estuary, with its treacherous tides, since Roman times, be it in a car, in a train or on a ferry. The first written reference to the ferry is in a 12th Century document. The charge for vehicles has been scrapped after the bridges returned to public ownership last year. 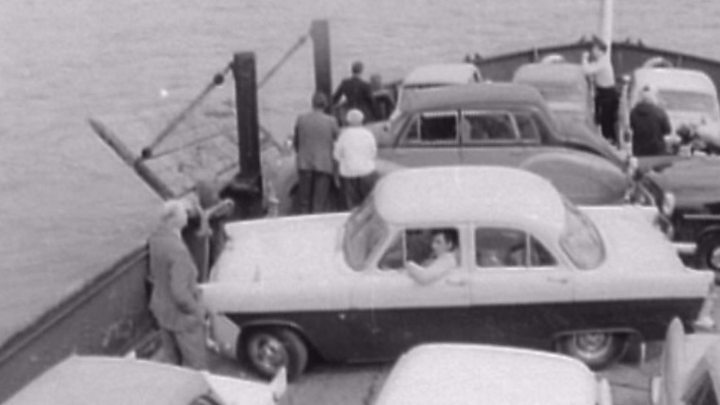 Car drivers had to pay two shillings and sixpence each way after the first Severn bridge was opened by the Queen in 1966. Recently, the Severn toll spiralled to £5.60 - but the charge was just one way, westbound heading into south Wales. "It has been forever thus," added Ms Rainsbury, curator of Chepstow Museum on the Welsh side of the original bridge. 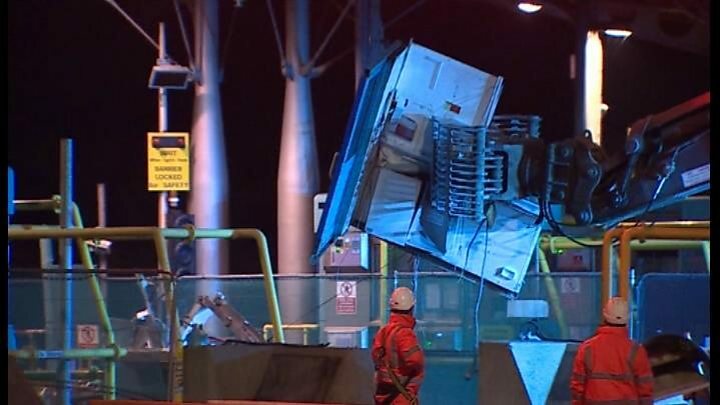 "You've always had to pay someone; a ferryman, a railway company or a bridge toll collector to cross the Severn Estuary - so Monday's removal of the tolls is a hugely significant moment, especially in Wales." The first ferry crossing over the Severn Estuary - which has the second highest tidal range in the world - was between Aust and Beachley, essentially the path of the first bridge, on the narrowest width of the estuary. The first written reference to it is in a document from the 12th Century when the owner was the Lord of the Manor of Tidenham, part of the Chepstow Lordship. But the first recorded ferry crossing was in 1775, when it cost a coach with six horses an eye-watering 16 shillings to board the boat on the mile-long route known as the old passage. "It was a huge amount back then," said local historian Tim Ryan, who is trying to restore one of the old Severn ferries. "But if you could afford a coach and six horses, then you could afford the fee - and it would avoid a three-day, 55-mile trek around Gloucester to the nearest crossing of the river." There was a rival and more direct crossing two miles downstream at the so-called new passage, thought to be in operation from 1630, between Pilning and Portskewett. Both crossings - and a passenger ferry that ran directly between Chepstow and Bristol - were killed off when the Severn tunnel, then the world's longest under-sea rail tunnel, connecting London with south Wales opened in 1886. The advent of the motor car revitalised the Aust-Beachley ferry and it started again in 1926 - running for 40 years and finishing the day before the first Severn bridge was opened. Famously Bob Dylan used a 1966 picture of himself as he waited for the Severn ferry on the cover of his album No Direction Home - the soundtrack to Martin Scorsese's documentary about the music icon. The Queen opened the £8m first bridge in 1966 while the second bridge, built three miles downstream across the Severn Estuary, was financed by a private consortium set up in 1992. The Second Severn Crossing - opened in 1996 and renamed the Prince of Wales Bridge in July this year - cost £332m to construct, but the eventual repayments including debt repayments, interest and tax totalled more than £1.3bn. The removal of the Severn tolls is "history in the making", according to Anne Rainsbury, and will boost the Welsh economy by an estimated £100m. The M4 Prince of Wales Bridge is shut overnight as maintenance teams demolish the toll booths in readiness for toll-free free-flowing traffic. It will reopen free-flowing and toll-free before Monday morning's rush hour - at a time yet to be confirmed - but with a 50mph speed restriction on temporary narrow lanes. Shortly after the M4 bridge reopens on Monday, the M48 original Severn crossing will shut westbound until Wednesday for the tolls there to be dismantled. Further work will be carried out in 2019 to return both routes to a three-lane motorway with the usual 70mph speed limit.